You will embark on your motorcycle journey from Luang Prabang along winding dirt roads up toward Paxeng. 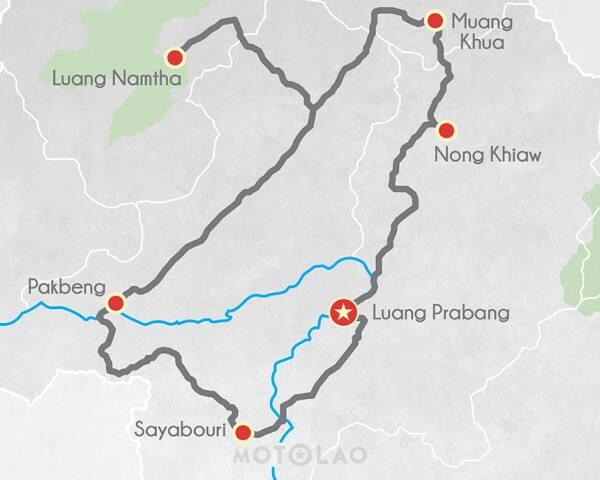 This route will be along the Nam Ou River, arguably one of the most important rivers in Laos that connects the northern province of Phongsaly to Luang Prabang. Once you arrive in Paxeng, you will begin driving along some magnificent mountain ridges through Viang Kham. The terrain is a combination of dirt and asphalt, which makes for an exciting journey. You will spend your first night in Nong Khiaw at a beautiful hotel along the bank of the Nam Ou River. After you wake up the next morning, you will head out on your motorcycle along mountainous roads. 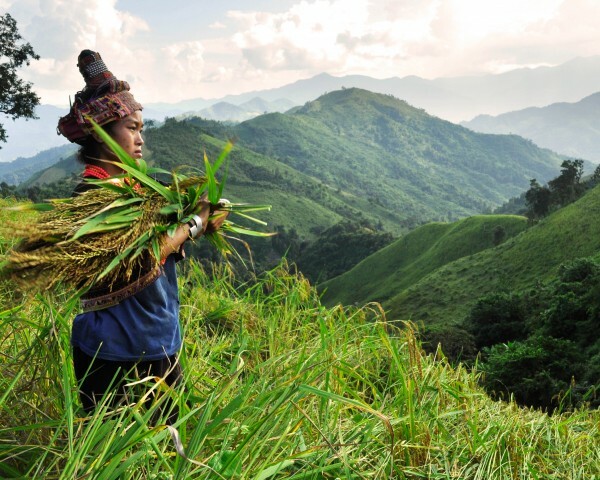 You can visit remote Hmong villages along the way, and maybe learn a few words in their native language. 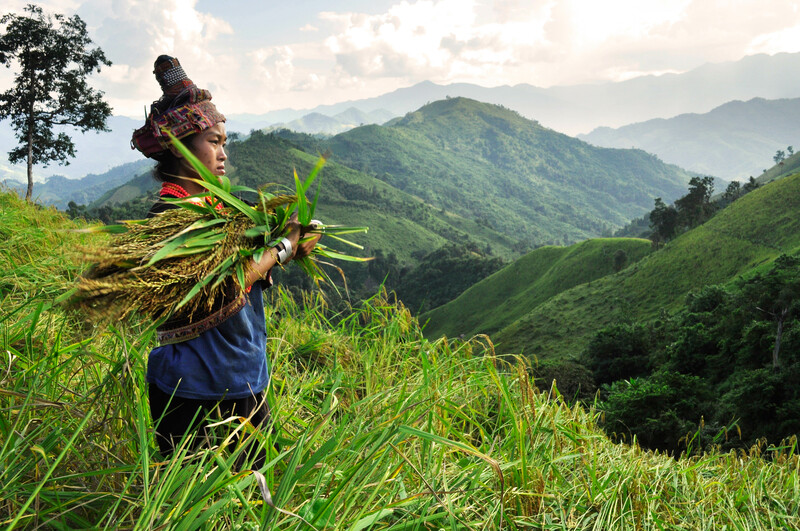 Laos is one of the most ethnically diverse counties on the planet. The government officially recognizes 49 distinct ethnic groups. You will stay overnight at a guest house in one of the various local villages. You will pick up on your route the following morning up to Muang Khua. This town is in the Phonsaly province, and is home to the Akha people. Living at a high elevation in the mountains of Laos, the Akha ethnic group wear some of the most elaborate and colourful clothes. You will be invited into the home of a local family for an unforgettable home stay experience. You will be invited into the home of a local family for an unforgettable home stay experience. The family will prepare traditional meals for dinner and breakfast, and you will gain a deep understanding and insight into the culture and remarkable history of the Akha group. After finishing your breakfast, you will ride out on your motorcycle toward Luang Namtha. This route features some breathtaking scenery and gorgeous landscapes along the way. If you arrive at Luang Namtha early, you can explore through their two bustling markets, or take a boat ride along the Namtha River (price not included). Your accommodation for the night will be at a local guest house. 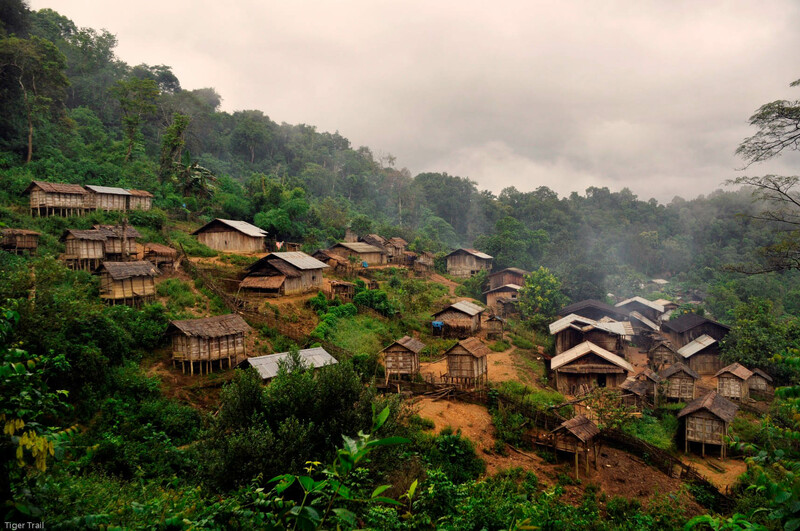 On the fifth day, you will embark toward Pakbeng along winding, dirt roads. You will travel through a diverse number of remote villages in this region. It will be a long day out on the bike, but the combination of pristine Lao landscapes and off-road riding make it well worth the trip. Pakbeng is a remarkable village with a temple in the hills that dates to the Kingdom of Lanna (Kingdom of a Million Rice Fields). Your day concludes in Pakbeng with an overnight stay at a local lodge. As the sun rises, you will head out form Pakbeng to Hongsa, another small village with a bustling market. You will stop for a quick meal before continuing on toward Sayabouri. Once you arrive at Sayabouri, you will be accommodated at the Elephant Conservation Center. Here you will be able to ride, feed, bathe, and befriend these gentle giants. A trip to Laos is not complete without getting up close and personal with an elephant. You can also visit their medical centre to learn more about Lao elephants. 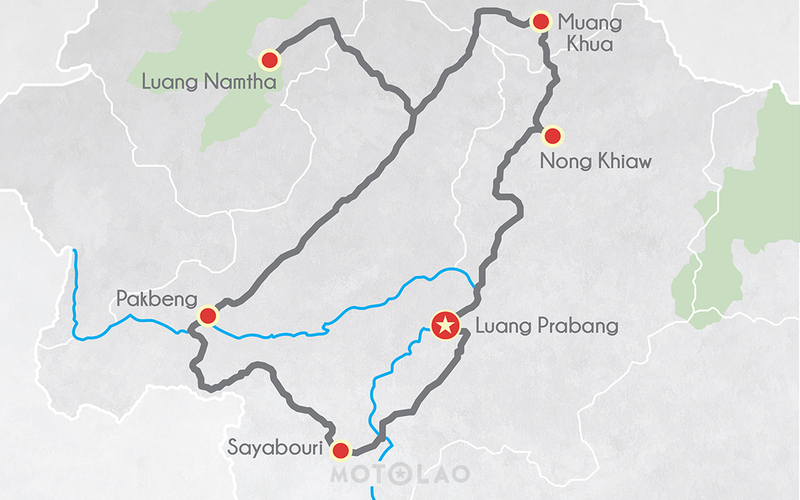 On your seventh and final day of this tour, you will depart from Saybouri toward Luang Prabang. 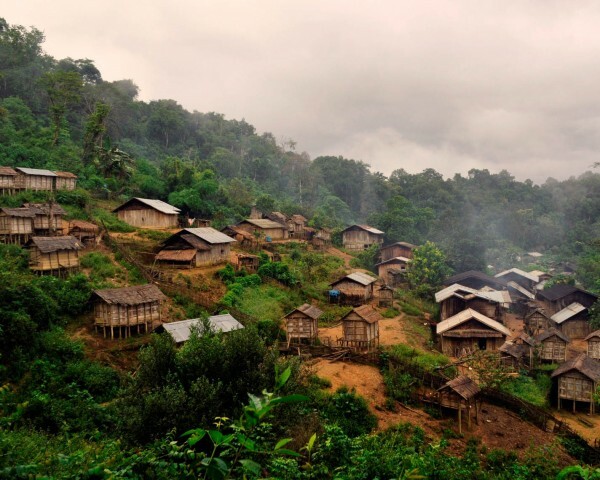 You will pass through Muang Nan, a local village where both Khmu and Lao Loum ethnic live. Continuing on from Muang Nan, you will ride out along the mighty Mekong River where you will have a few river crossings. The terrain will consist of dusty roads along stunning farmlands and fields of teak trees. Your seven-day Lan Xang tour concludes once you return late in the afternoon to Luang Prabang.